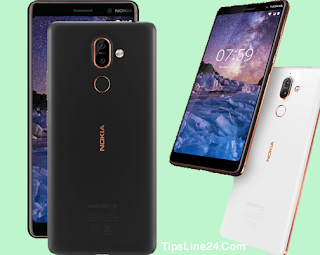 The Nokia 7 Plus smart phone display will be very nice, There is a lot to be sure about that. Because the full HD display is 6 inches, it will be nice to see. The phone will be safe from any scratches due to the phone have Gorilla Glass on the screen. At the same time, the phone is IP 54 Surfide, as Splash Proof, it would be great to say a word. Android 8.0 (Oreo) is a Great feature of The Nokia 7 Plus. Android oreo 8.0 is Latest version of Google android . The Android oreo has many new featurs and This android version has many advantages,it will be make more attractive to this phone. We will discuss about Android 8.0 (Oreo) later. The Nokia 7 Plus camera is also great. Those who use smartphone, A majority of them is Selfi Lover. On the other side who love Nokia They are always frustrated with their cameras. But it seems that the days of disappointment of lovers of Nokia lovers are going to end. Because the 16-megapixel Carl Zeiss lens pack can give 7 Plus front camera which will undoubtedly give great SmartPhone. Processor : Octa-core (4x2.2 GHz Kryo 260 & 4x1.8 GHz Kryo 260). As a result, this phone will become faster and stronger. Memory : The phone has 4GB RAM, and 64GB ROM. The Nokia 7 Plus only comes with 64GB of onboard space.